The finish line is in Matt Barrett’s sights as he trains for his first half marathon at the PNC Bank Peoria Marathon on Oct. 18. 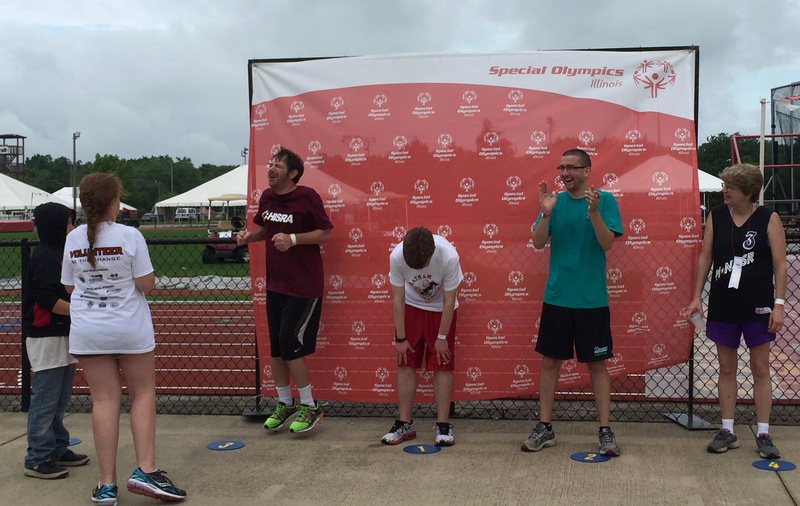 Matt has been involved with Special Olympics since 2002 when the director at Peoria Production Shop, Pam Creager, suggested he compete. 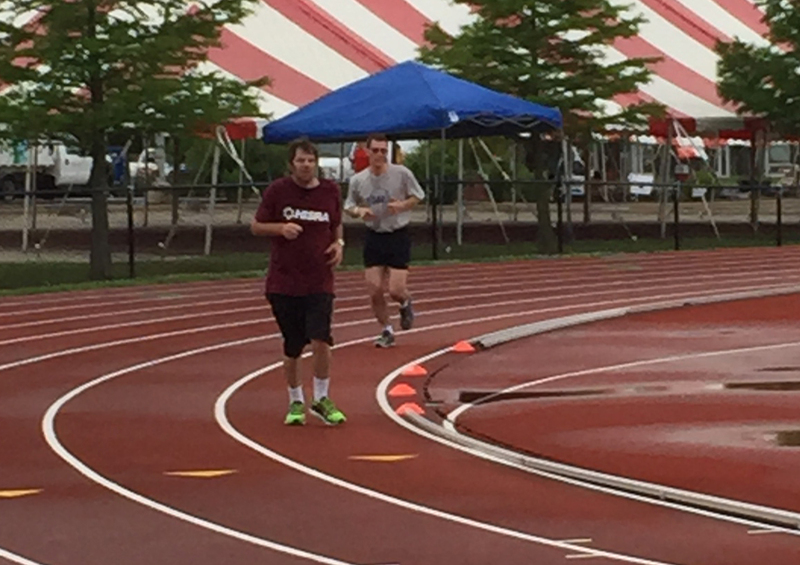 He competes in three events through Heart of Illinois Special Recreation Association (HISRA) — track and field, bowling and basketball — but could never pick a favorite. Matt has been running since attending Elmwood High School. His events then included the 800 meter, the mile and two mile. He graduated in 1995, and then began working at Peoria Production Shop. In his free time, Matt started running with the Running Central Team Steam group and runs every Tuesday and Thursday with other community members. This group trains runners for the Steamboat Classic in Peoria. In June, Matt ran the 15K at the Classic in 1:44.43. “It is a lot of fun meeting different people! 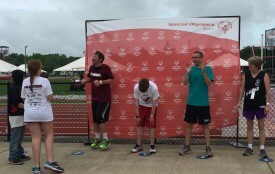 I’ve made a lot of friends through running,” said Matt. Now the group has moved on to training for the Peoria half marathon. Chuck, his supervisor at work, helps Matt figure out how much he needs to run each week. The half marathon will be the longest race Matt has ever ran, about 4 miles longer than the 15K. He does not have a specific goal for time, but would like to keep it around the same pace as the Steamboat Classic. “I give it my best, every inch; I never quit,” said Matt. 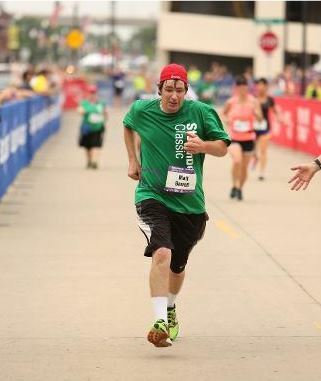 Matt looks forward to the new experience that finishing his first half marathon will bring. Good luck, Matt!